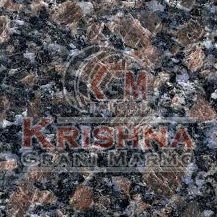 We are a distinguished Manufacturer and Supplier of Sapphire Blue Granite Stone in India. Our experts make Sapphire Blue Granite Stone using the pristine quarries sourced from the reliable sources. Every stone is well scrutinized on the parameters of quality and finish to ensure complete customer satisfaction. Sapphire Blue Granite Stone is suitable for a large variety of uses like flooring of interiors, sink, pillars, decorative slabs, etc. We provide Sapphire Blue Granite Stone in customized dimensions at the best market prices.